If you are a foodie, one of the best things about visiting a new country will be getting to try their signature dishes. Something that the tourism companies in South Africa have caught on to with the introduction of the country’s newest tourism craze; food safaris. There is a lot to be learnt from going on a food safari in South Africa. 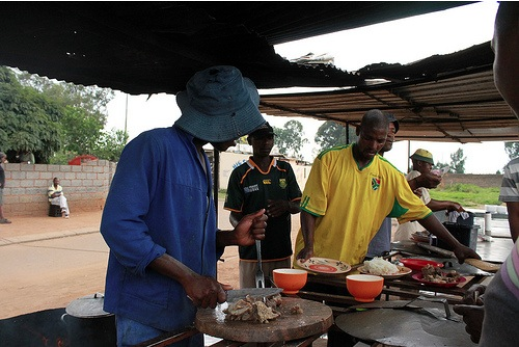 Not only will you get to taste delicious South African cuisine, but also learn about the local culture. What is a food safari? You may be wondering what exactly a food safari is. Basically instead of hopping in a four by four and heading into the African bush to spot animals, you sample some of South Africa’s finest traditional food. Whilst many holiday goers end up eating the same old food they eat back at home in restaurants aimed at tourists, South African food safaris are all about living like locals and getting the real deal. Although food safaris vary depending on where you go on one and which tourism company you book it through. Most of these involve walking tours of local food markets, as well as private hosted dinners and cooking demonstrations, many in local homes. Food safaris have really taken off in Cape Town, a city that is brimming with different cuisines. As well as locals getting involved in the food tours, many celebrity chefs also take part including Africa’s own Bruce Roberts. He offers a seafood dining experience at his home in Cape Town. One of the most popular areas to find great food safaris is Bo-Kaap. This area of South Africa is home to fusion food; a must-visit for food lovers. There the locals fuse their own dishes with those of other countries including France, England, Germany, Malaysia and Indonesia. Go on a food safari in Bo-Kaap and you will get to have a go at making your own roti’s, samosas and other traditional recipes. Taking lessons on what has been passed down from the generations. You will also learn about the food, history, religion and culture associated with the local area. 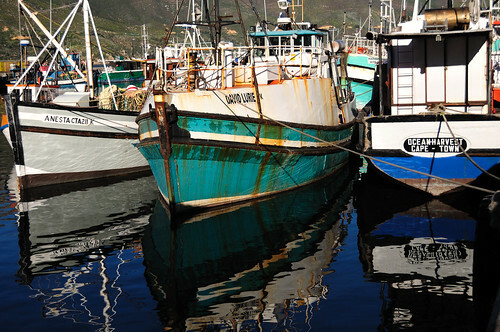 Some tourism companies offer guided walks of the harbour in Hout Bay. In the bay you can visit local fish shops, learn about local fishing trends and gain an insight into the area’s marine conservation. Many food safaris in Hout Bay are centred on seafood and the local fishing industry. If you are looking to get a true insight into how South Africans live, eat and cook, there is no better way to do it than by going on a food safari. Providing the perfect opportunity for you to discover the culinary traditions of Cape Town and other places in the country. The new food safari trend in South Africa has not only provided tourists with the chance to learn whilst they travel. It also helped to bring down the cultural and language barriers between locals and tourists. Whilst we highly recommend going on animal safaris in Africa. If you are looking to learn more about the local food and culture, there is nothing better than going on a food safari. Not only will you get to taste some of the country’s most delicious dishes, but you will also get to learn more about the locals and their way of life. It will prove to be a real eye-opening experience.